I've got everything installed and aligned. Wanted to see if this steering has caused any new "clunking" noises for anyone else post install? I know the drag arm rotates up and down a bit- could that "flopping" motion be creating a new -and normal- noise that I'm hearing from inside when hitting small bumps, manhole covers, pot holes, washboard roads, etc? 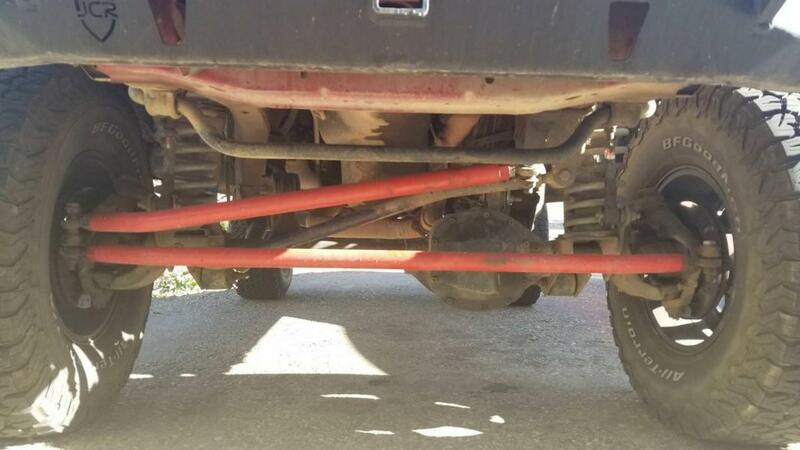 Is the drag link hitting the tie rod? If so loosen the jam nuts on the drag link and twist the heims a bit to restrict their movement, then tighten back down. I would probably guess this as the drag link does have a lot of play. I didn't notice any new noises after I put mine on. can you post pics? heims can clunk over TREs and bushings. you can try clocking your heims on both ends in opposite directions. As soon as I crest the top i'ma turn driver and floor it! Hmm, I wonder! Will check it out in a bit. When you say twist the heims, you mean tighten? Otherwise, the heim on my pitman arm is already about 45deg. Will do shortly. What do you mean by clocking my heims on both ends? I think we're both talking about the same thing. Break the jam nuts loose, and screw the heim in or out of the drag link. If the heims are clocked in opposite directions, they won't be able to move around as much on the misalignment spacers. yep clock one heim up and the other down. it'll help, and it can take out tie rod roll if you have it. I have had to pull over on the road before coming out of a trail to clock the heims on my D60 front before, sometimes they would rotate just enough in the right way to cause a dead spot if all my tie rod and drag link heims and hydro assist heims were all off just in the right amount. it was amazing how clocking them took out slop and noise. Ok, so the heims, if you're looking at them from the side should (simply) look like an X instead of // ? I think that's the case. Also, now looking at those photos, I'm wondering if the drag link is bumping my sway bar. And now I'm wondering why my sway bar is sitting so low. I've got the JKS adjustable quick discos, that I thought were properly adjusted..
Look again. Look at the relationship between your RE trackbar mount and draglink, and then look at theirs. Their draglink sits a lot higher than yours. You want your trackbar and draglink to be parallel (pivot to pivot, so you need to draw a line on the picture between pivot points to really see it). Your geometry is way off. This video covers it pretty well. I've seen worse angles, but if you moved it above the pitman arm it would be pretty close to perfect. 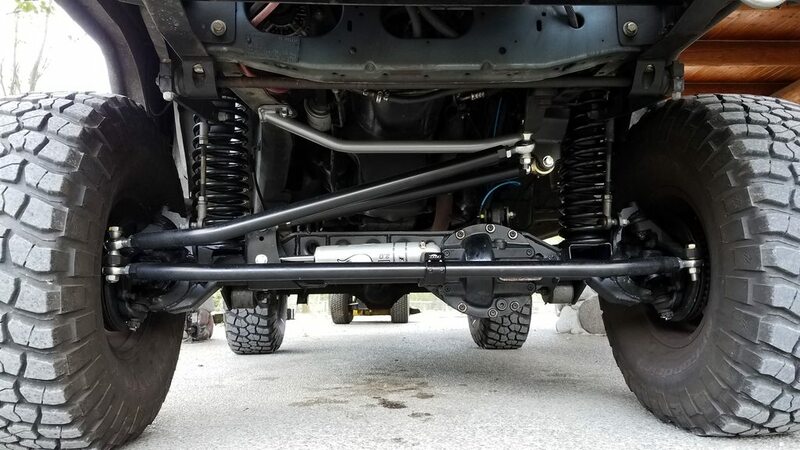 IRO's system deals with this by having the drag link connect to the bottom of the knuckle while the tie rod goes above, so it keeps the same 'steep' angle. Just finished installing my CavFab kit and went with their OTA track bar as well. I went under because the old bracket needed to be cut off for the truss to fit; Artec's bracket moves the location up a bit and flattens out the angles (Cav's bracket needed to be modified too much to fit around the truss). I just need to ream the next hole down for the track bar and the angle should be perfect. All times are GMT -7. The time now is 22:43.